Hello loves! Welcome to this week's WIAW! Today, I have an extra goodie in store for you: a recipe for spicy jalapeno cornbread! Yummy! Delicious and dairy free. But first, let's WIAW. 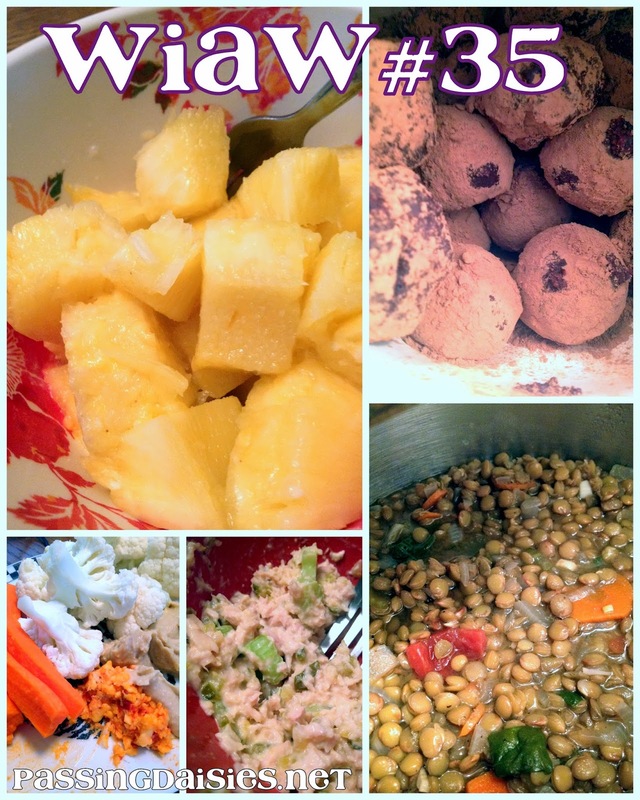 Below are some yummy things I ate this week! Those truffles are SO. DELICIOUS. And at some point I will share the recipe with you - I made them with leftover chocolate from my chocolate fountain! I had like, eight cups of melted chocolate, and I didn't want to throw the chocolate away, so I made truffles. 1. Pre-heat oven to 350 degrees, and then combine all dry ingredients in a bowl. 2. In a separate bowl, combine wet ingredients and jalapenos. Mash the jalapenos lightly with a fork to thoroughly incorporate them into the batter. 3. Slowly at dry ingredients, mixing until everything is combined. 4. Using a cupcake or muffin pan, fill each muffin hole 3/4 of the way full with batter. 5. Bake for 15-20 minutes, until cooked. Insert a toothpick unto the center of a muffin to check for doneness. If it comes out clean (no batter on the toothpick), it's done. How easy peasy was that?! 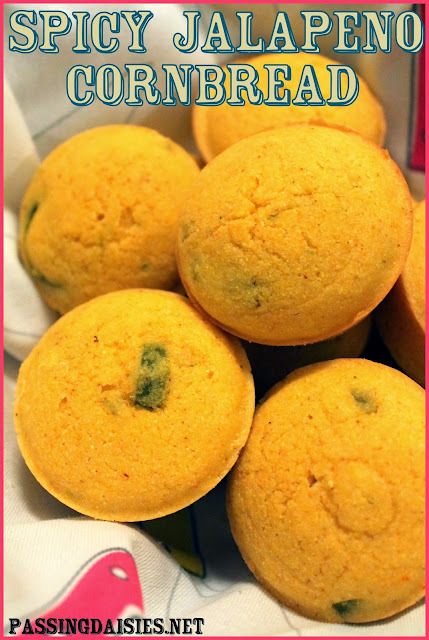 These corn muffins have texture to them, and you can tell there is real corn meal. I hate corn bread that is mostly flour with a bit of corn meal - what kind of corn bread is that?! Give them a try. You'll love them. See you next week for the WIAW party! Stay tuned on FRIDAY for a new Fit Friday post... we're talking about fitness goals! If you could turn any cookie into a cake, what would you choose?! I've been desperately craving cornbread for Thanksgiving! Your cornbread looks and sounds fantastic. I love the extra kick :) Happy Thanksgiving.